Fianna Fáil has called on the chairman of the Independent Commission set up to examine the future of water charges to consider his position. In a dramatic move on Monday, Fianna Fáil questioned whether former senator Joe O’Toole is suitable for the post following remarks he made in the media. Mr O’Toole said in an interview that he favours paying water charges and seriously questioned the stance of left wing TDs such as Paul Murphy in relation to water charges. Mr Murphy called for Mr O’Toole’s resignation this morning, however, Housing Minister Simon Coveney declined to be drawn on the issue. Later, Mr O’Toole dismissed the calls, adding that he intends to chair the commission in a fair and honest fashion. But in a move that will heap pressure on Mr Coveney, Fianna Fáil TD Barry Cowen all but called for Mr O’Toole to step down. “This new commission’s job is to independently and impartially examine the different options available for funding our water and wastewater systems into the future, before presenting these options to Dáil Éireann which will then decide,” Mr Cowen said. 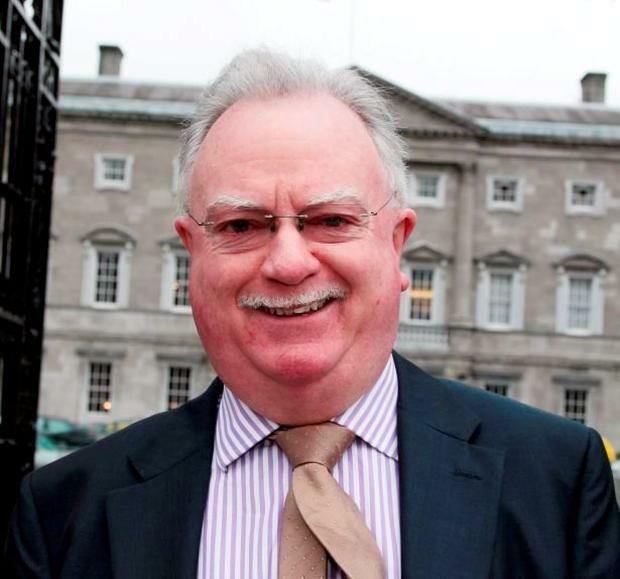 “In his ill-judged comments to the media this morning, Mr O’Toole has seriously undermined his position as Chair. "For the commission’s process to enjoy public support, it is essential that those involved approach the question of funding with an open mind. "By making clear his view before the process of examination even begins and pre-empting the outcome, he has raised serious question marks about his suitability for this role. Explainer: Rejoice! The water war is over... but what happens next? Niall O'Connor So, the politicians have struck a deal? Philip Ryan and Niall O’Connor Fianna Fáil has called for the Revenue Commissioners to be tasked with refunding Irish Water customers who paid their bills over the last two years. Niall O'Connor The Water Charges debate has created a political storm.